SB 863 Reform Legislative Updates and latest Legislation Included. 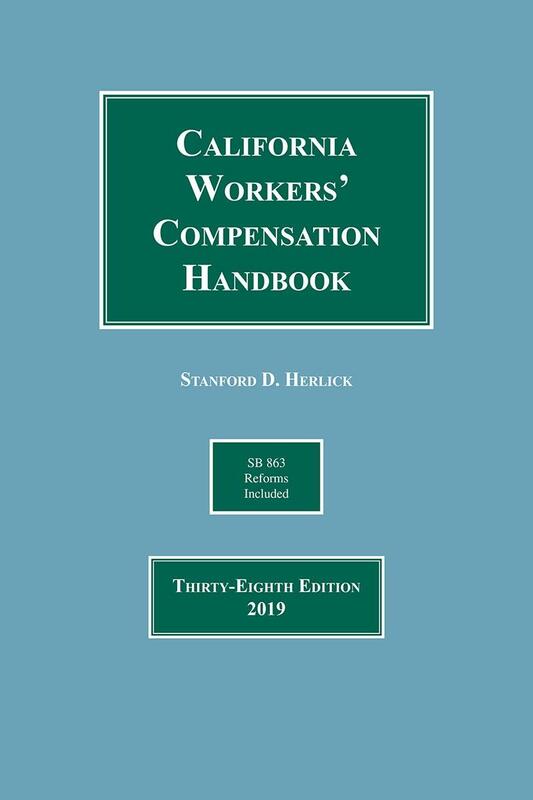 This latest edition of Herlick, California Workers' Compensation Handbook is an ideal resource for employers, insurance professionals, and others involved with workers' compensation issues. 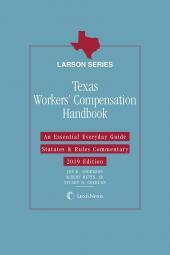 This handy volume includes coverage of both SB 863 and SB 899 reform legislation and the Almaraz-Guzman, Ogilvie, and Dubon II decisions, as well as detailed examples for figuring out permanent disability under the AMA Guides and the 2005 rating schedule. 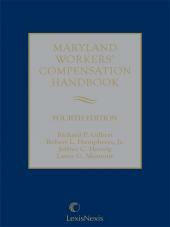 It also features marginalia referencing the appropriate statutory law and regulations and text references to selected appellate court and Workers Compensation Appeals Board decisions to ensure quick answers to your workers' compensation questions. 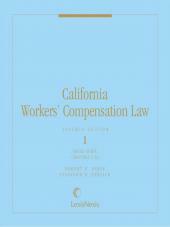 Also used as a teaching manual, this popular handbook covers the operation and interpretation of the law and policies of the California Workers' Compensation Program in a concise, easy-to-follow format. 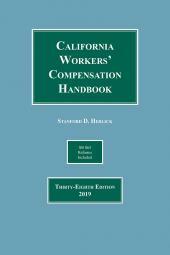 Herlick, California Workers' Compensation Handbook is an essential everyday guide to a complex area of law. Barry D. Bloom, of The bdb Group, has extensive executive business experience with the healthcare, retail, manufacturing, staffing, trucking, telecommunications, hospitality and hightech industries, coupled with technical expertise in the fields of workers' compensation, absence management and disability, group health benefits and liability. Mr. Bloom has acted as the Founder and Senior Executive for national claims management firms specializing in workers' compensation, liability, and absence management claims administration, integrated with clinical managed care capabilities. He has also served as the Principal consultant, National Practice Leader and project leader for private Fortune 500 companies, as well as public entities and smaller employers, engaged in risk management and human capital program reviews and engagements. Mr. Bloom belongs to various professional organizations, including the California Administrative Services Organization (CASO), Integrated Benefits Institute (IBI), and Sales & Marketing Executives of San Francisco (SMESF). He is a past member of the California Governor's Advisory Committee on Workers' Compensation. He has also been an instructor and guest speaker for RIMS, Insurance Educational Association, and Insurance Claims Association, and has had various articles and papers published. He is a Who's Who in Managed Care Honoree (1995), and an Oxford's Who's Who Honoree (1992). Richard (Jake) M. Jacobsmeyer is a partner of the law firm of Shaw Jacobsmeyer Crain and Claffey, a statewide workers' compensation defense firm with four offices in California. A certified specialist in workers' compensation since 1981, he has experience as both a representative of the injured workers for 18 years and now representing employers and insurance carriers before the Workers' Compensation Appeals Board for over 17 years. As an applicant's attorney, Jake served terms on the Board of Governors of the California Applicant Attorneys Association (CAAA) including stints as Education Chair and Amicus Committee Co-Chair. During his time as an applicant's attorney he also worked his way up the ladder in the Northern California Chapter of CAAA, ultimately serving as President of that Chapter in 1993-1994. He has also served on the Board of Directors for the Diablo Valley Industrial Claims Association, the San Francisco Industrial Claims Association and as Speaker's Chair for the Industrial Claims Association. He serves as amicus counsel for the California Workers' Compensation Institute and is a frequent panelist for CWCI programs including their annual Legal Update Seminar as well as its periodic Statutory and Regulatory training programs. He is a frequent panelist on Workers' Compensation issues for many organizations including California Self-Insurance Association, Coalition on California Workers' Compensation, California Applicants' Attorneys Association, California Society for Industrial Medicine and Surgery and multiple Industrial Claims Associations. In June of 2010, he was selected as one of the "Most Influential People in Workers Comp for 2010" by Workers Comp Executive Magazine. Julius Young, a partner at Boxer and Gerson LLP, has practiced workers' compensation and social security disability law since 1979. He has represented thousands of individuals who have sustained life-changing injuries or illnesses while on the job. In every case, his goal is to secure the medical treatments his clients need and the maximum benefits they are entitled to so they and their families can survive what may be a potentially devastating circumstance. Long recognized by his peers as an excellent trial attorney and negotiator, Julius is well known in the legal community for that expertise. 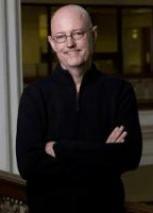 He is the founder, writer, and editor of an award winning blog on workers' compensation, http://www.workerscompzone.com/. A Board member of the California State Bar Executive Committee in Workers' Compensation from 2007 to 2010, Julius has long been involved in the larger workers' compensation community. He has sat as a Judge Pro Tem at the WCAB since 2005, has been consultant to LexisNexis on workers' compensation publications since 2008, has been an instructor on Social Security disability issues for Lohrman Seminars, and has lectured widely to many union groups. He has also lectured at the request of the California Applicants' Attorneys Association, the Industrial Claims Association, State Compensation Insurance Fund, the California Society of Industrial Medicine, the Diablo Valley Claims Association, and others. In addition, Julius has acted as a training consultant for the UC Hastings Employment Law Center Workers' Compensation Clinic, has acted as an advisor to Worksafe on workers' compensation and safety issues, and is currently serving on an Advisory Committee re Rand Institute studies at the request of the California Commission on Health, Safety, and Workers' Compensation.